I don’t get it. Since before kindergarten I was told to pay attention. I guess that the constant reminding finally was pounded in, or more importantly over time the concept seemed to make sense. So when I watch something like a presidential debate, the most I can do is to try to look, listen and hopefully learn. Not too many years ago, that was what most other debate watchers did, or seemed to do. Maybe they were multi-tasking in ways that included dish-washing, crossword puzzles or folding laundry. But today’s multi-tasking seems unfathomable to me. How can someone actually be paying attention to the debate and at the same time opining on Twitter or Facebook? This is all done live and there are no built-in “cessation of plays” like with a baseball or football game. I’ve heard that the mind can only concentrate on one thing at a time, but I guess that does not limit it from being like a pinball and going from one direction to another almost instantaneously. For whatever reason, I seem to be a little skeptical of the instant fact-checking. 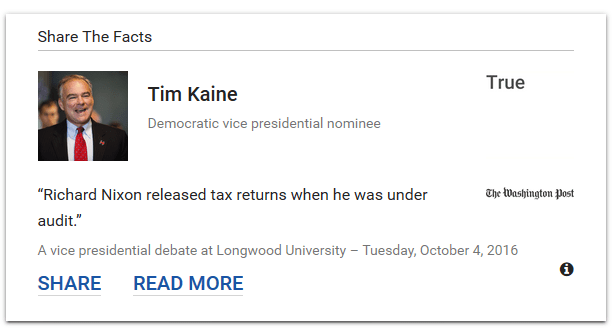 Yes, when a candidate says something, it is relatively easy to look up whether it is true, false, half-true or pants on fire. But how can someone be researching and confirming this while hearing the next words out of the candidates’ mouths. Maybe the answer is that it takes a village. One person is carefully listening and shouts out, “Did Trump actually say that more nations should have nuclear weapons” and a second person looks it up. Perhaps it takes a third person to put the answer on social media, and the process continues. Has debate-watching become corporatized? Or maybe a better question is “has it always been corporatized?” I don’t know. What I do know is that I have always been a member of the Slow Reader Society and that might mean that I’m slow at processing a lot of things. Well, there’s no sorrow here. I’m comfortable with the lumbering and perhaps old-fashioned way that I do it. But my dream of being a CNN talking head will never come true.